GARR provides ultra-broadband connectivity and advanced services to many universities and colleges, promoting multidisciplinary research and international collaboration through the GÉANT network. In the Italian university sector, the universities that benefit from the GARR connection are more than 90 (see Connected Organizations and Sites), including state and polytechnic universities, including the High Schools; non-state universities, telematic universities and international universities present in Italy. It is a catchment area of ​​over 1.5 million students and over 100,000 teachers throughout the country. Thanks to a capillary and reliable infrastructure, GARR guarantees not only the connectivity of the universities distributed throughout the country, but also their interconnection with the European research network GÉANT and with other international research networks, thus becoming an indispensable tool for the academic collaboration. Every connection of the GARR network has a high and symmetrical bandwidth capacity, with the same speed in download and upload. This feature, sometimes relatively unknown and often not included in the commercial providers offers, is of fundamental importance for teaching and especially for research carried out in universities as it allows institutions to independently create content, services, applications and not simply be passive users of the network. 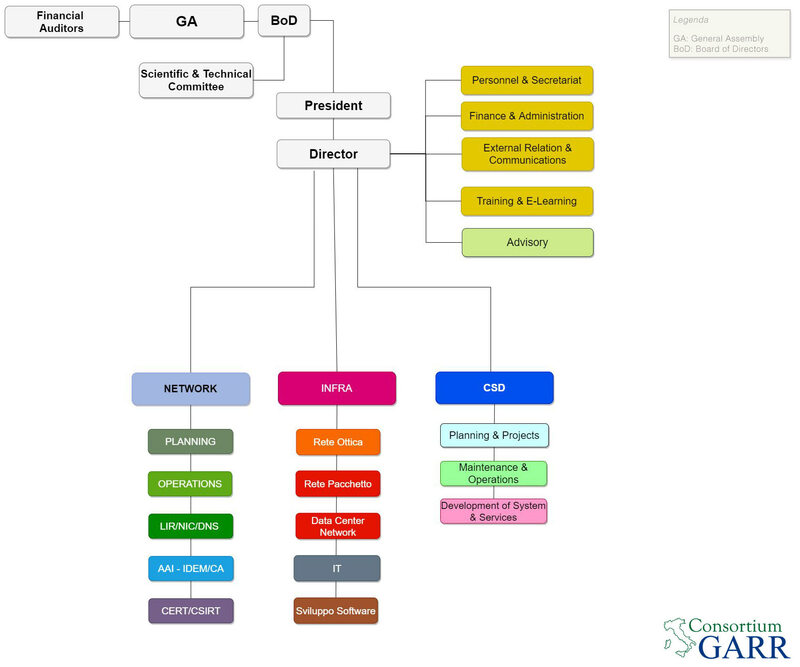 Furthermore, most of these universities are connected directly to the GARR fiber optic backbone. In addition to the benefits of a powerful transparent and high quality network, users can use a wide range of services such as real-time network monitoring, IT security, web domain registration, public addressing, identity management digital, multi-videoconferencing, access to mobile Wi-Fi networks. Another advantage of being connected to the GARR network is the free release of digital certificates, in personal and server versions. Furthermore, through the IDEM service, GARR offers to university teachers, students and researchers the opportunity to use a single identity and a single password to access different services on the network. A single password, therefore, for all the available resources: digital libraries, magazines, scientific publications, Wi-Fi networks, e-learning platforms. Eduroam is the GARR service that provides secure access to the wireless network for university users when they are in other academic locations in Italy and worldwide. Users who visit an institution participating in the initiative are able to use the wireless local network using the same credentials that they would use in their own institution, without further registration.